San Francisco, 1967. Hair was long, music was groovy, spirits were high (some higher than others), and public sentiment was increasingly slanted against the military machine and the conflict in Vietnam. As San Francisco continues its citywide celebration of the 50th anniversary of the Summer of Love, the Presidio—a venerable Army post in 1967 and now a freely accessible national park— provides a unique vantage point from which to understand that epochal, antiestablishment movement. 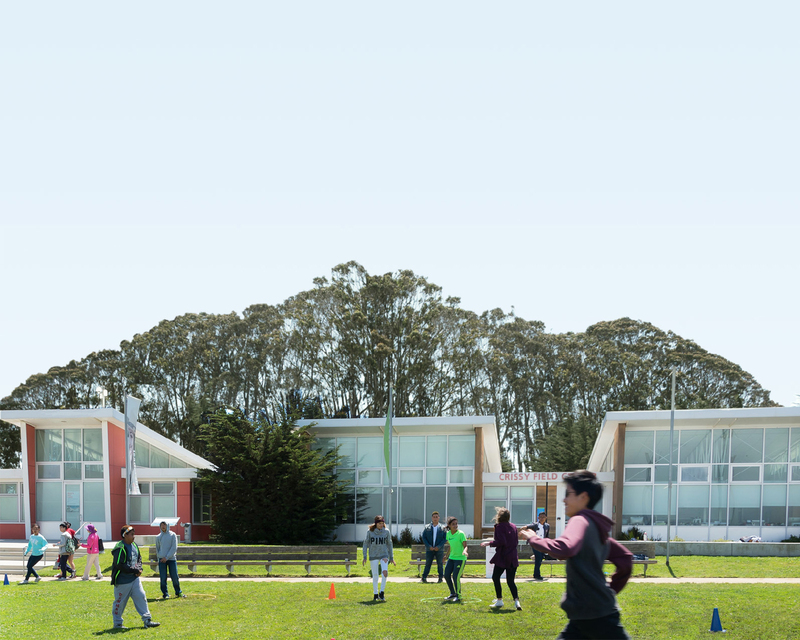 “If in 1967 the Summer of Love symbolized nonconformity, the Presidio symbolized the American status quo,” writes Dr. Barbara Berglund Sokolov, historian for the Presidio Trust. Indeed, in many ways, it was business as usual at the post. In April of that same year, the Sixth Army brass gathered for a celebratory dinner at the Presidio Officers’ Club to commemorate the 20th anniversary of the field army’s return to the Presidio, following extensive service in the South Pacific during World War II. The Sixth U.S. Army was just one of the many commands that had been headquartered at the Presidio, the oldest continuously operating military base in the country, up until its closure in 1994. Established in 1776 by Juan Bautista de Anza, the Presidio had operated under three flags in the course of its long history—those of Spain, Mexico, and finally the United States, which assumed control in 1846. As it had in all conflicts of the 19th and 20th centuries, the Presidio played a crucial role in supporting U.S. forces through the Vietnam War. “The Presidio was a key link in the projection of American military power into the Pacific,” Sokolov notes. The U.S. began deploying combat troops to support South Vietnam in 1965, and by the time the U.S. troops were withdrawn from the debilitating war in 1973, over 536,000 American soldiers had served in Vietnam. “For servicemen and women en route to Vietnam, California was often the last stop on the U.S. mainland on the way there—and the first stop on the way home,” Sokolov observes. Crissy Field, an active airfield at that time, saw MedEvac flights bringing the wounded from Travis Air Force Base. To treat and rehabilitate injured soldiers returning from Vietnam, a new Letterman Army Medical Center (now the Letterman Digital & New Media Arts Center) was built in 1969. The fighting in Southeast Asia took a horrific toll. By the time the war officially ended in 1975, more than 3 million people—including over 58,000 Americans—were dead. The immeasurable cost in human lives was just one reason for growing opposition to the conflict across the U.S. As early as the spring of 1964, protests were directed at the Presidio and its military operations. And the dissent wasn’t just coming from outside of the military post’s gates. Learn more about the Summer of Love on Aug. 3 (6–7 pm), when Dr. Sokolov will share a brief presentation about the Presidio during the Vietnam War era. She’ll be followed by renowned music critic and San Francisco Chronicle columnist Joel Selvin, who will offer a unique, first-hand perspective on that fascinating chapter in the City’s history.